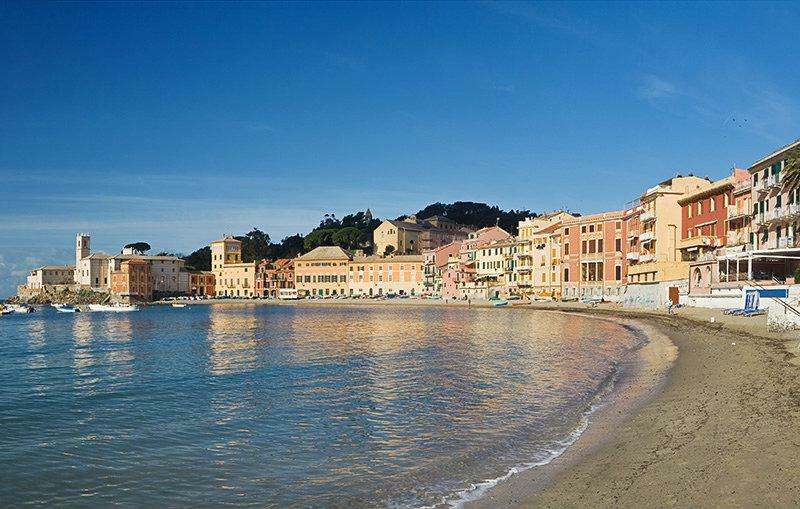 You will surely like the wonderful house facades and the big bay of Baia del Silenzio during your holiday in Sestri levante in Liguria, Italy. Along the coast of Golfo Tigullio The parish of Sestri Levante sits between Portofino and Levanto at Golfo Tigullio (Riviera di Levante). 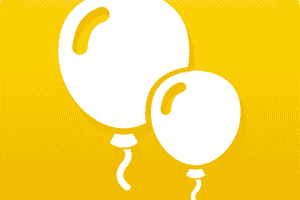 Do you want to spend your holiday exploring the area by yourself? 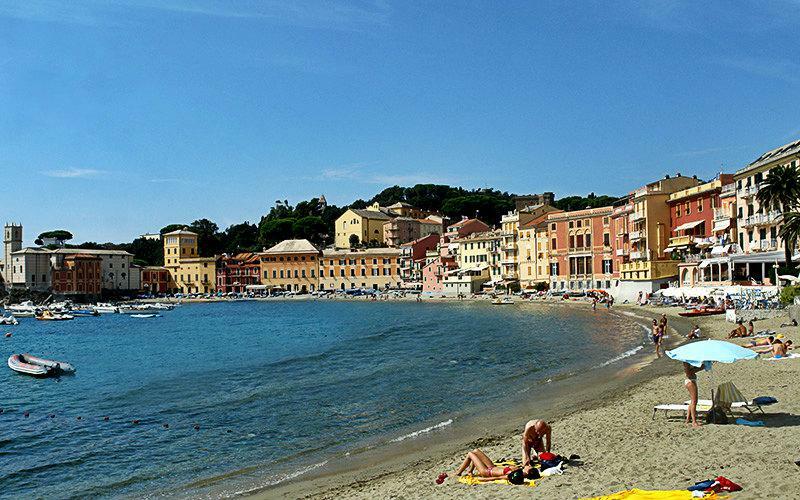 Then Sestri Levante with its lively charm is your answer. The parish in the region of Liguria is part of the province of Genoa. 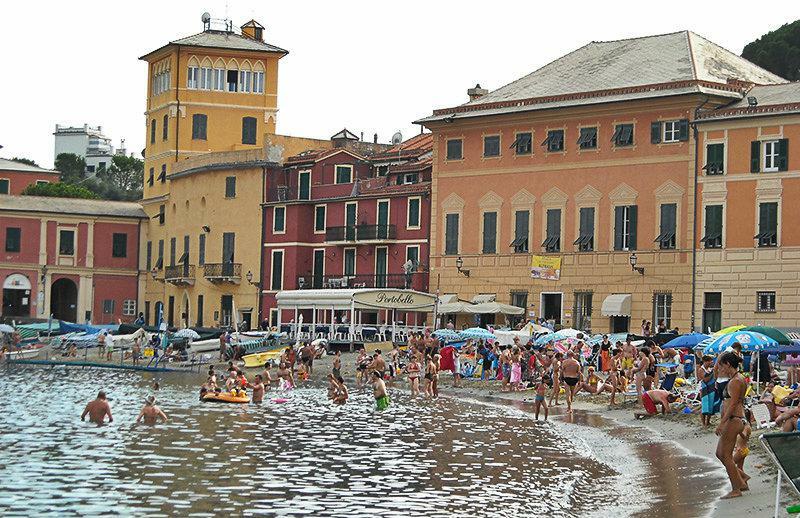 The old town of Sestri Levante comprises the peninsula of Portobello. Things to do If you like a good hike, you should head for the mountain Monte Castello. An awesome track through the middle of green nature makes every hiking aficionado’s heart beat faster. Make sure you don’t miss the olt town ensemble, the Palazzo Negretto Cambiaso, as well as the wonderful old town on the Portobello Peninsula itself. The streets and lanes are great for a stroll. The “via XXV Aprile” is suitable for strolling and shopping. 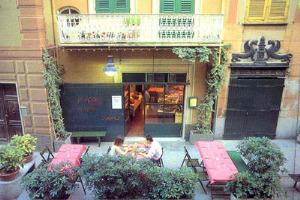 Take time to enjoy the Ligurian flair and relax in one of the many small cafés. During the summer months small events and markets often take place here in the evenings. Delicacies in Sestri Levante Apart from the fantastic restaurants in town, you should definitely at least go and have fish one evening in a restaurant by the sea. 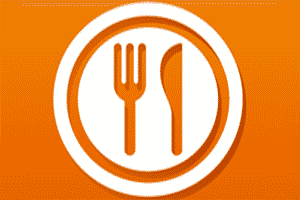 The fish there is prepared in a fine manner. You can spend a perfect evening here over a fine bottle of white wine. 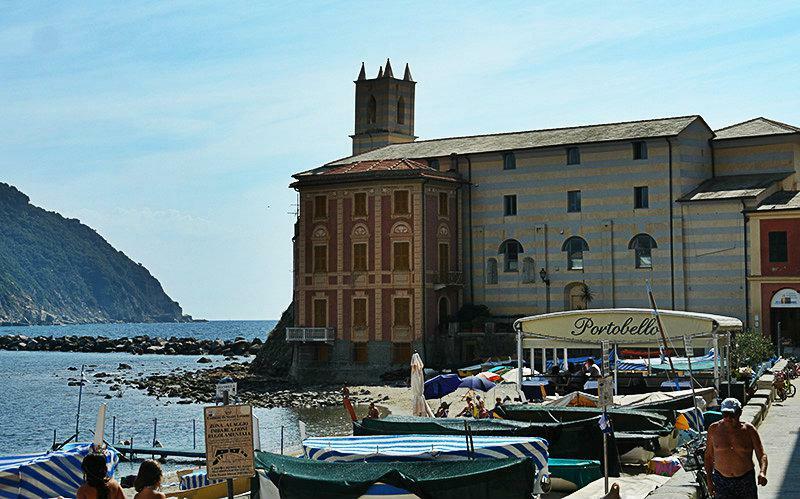 Apart from pure fish, it is also fashionable in Sestri Levante to enjoy pizza with with anchovies. As for the ice-cream in the Gelateria “100% Naturale” (XXV Aprile 126) only natural and seasonally available ingredients are used. The ice-cream brands are just as delicious as visually attractive. The “Restaurant ai Castelli” (Via Penisola 26) is a popular restaurant with a fantastic view over the bay of Sestri Levante. 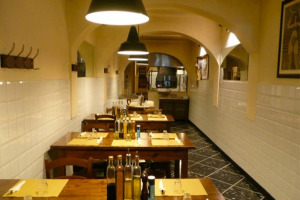 To get to know Liguria in a culinary way, you can choose between the menu Ponente and the menu Levante in this restaurant, in addition to the various antipastos, pasta dishes, meat and fish. The scenery is breathtaking. The view of the many white sailing boats in the deep blue sea and the charming gardens around the castle will mesmerize you! Whoever prefers to spend the evening in his own holiday house, can simply prepare the Ligurian delicacies for himself at home. 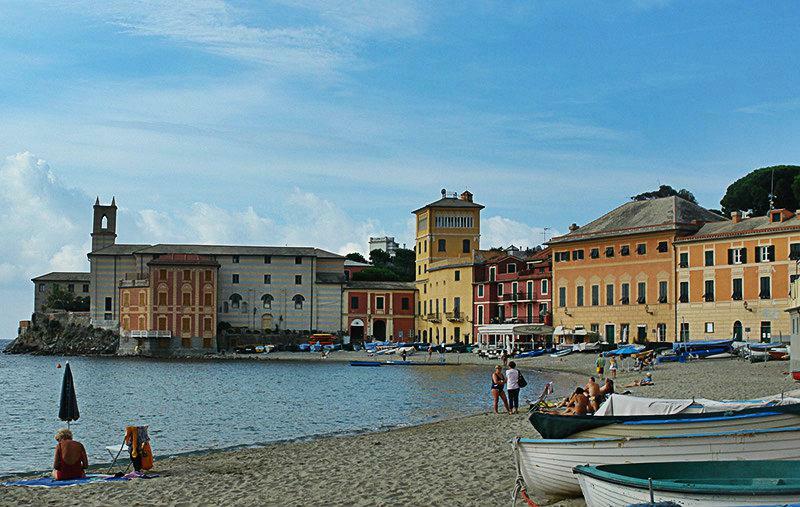 The two faces of Sestri Levante The city is known as a commercial and industrial hub. 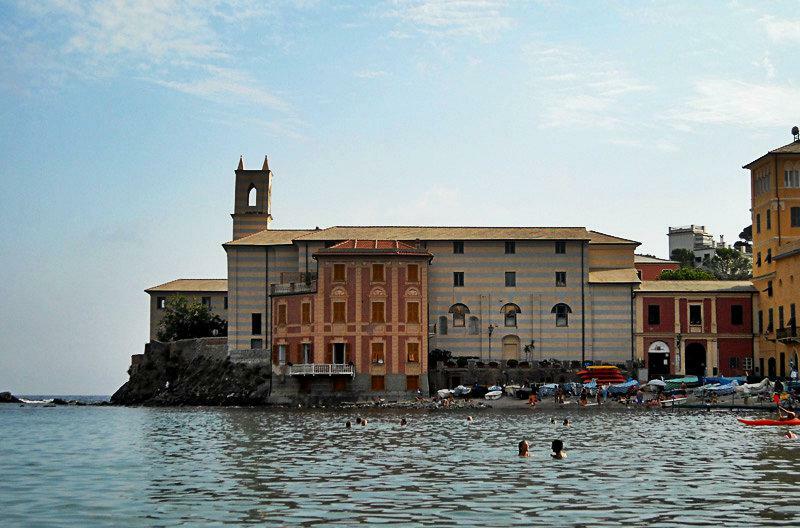 Sestri Levante has been an important junction as early as the 19th century. And it still is today. But the industrial significance is only one side of the coin. On the other side, you will find stunning facades with the cutest little shops and stalls, as well as old portals. The two heavenly bays perfect the image: Baia della Favole and Baia del Silenzio, which means Bay of the Fairy Tales and Bay of the Quiet. These magical names were chosen in honour of Hans Christian Andersen. He visited Sestri Levante numerous times.Thanks to him, the annual children’s literature price, Premio Anderson, is awarded here. Sori is a village in the province of Genoa located in the Liguria region. 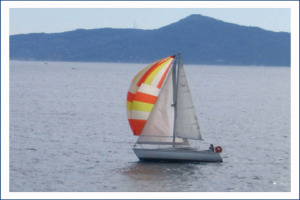 Near Sori are several other villages like: Pieve Ligure (1.7 km) San Bartolomeo (3.2 km) and Faveto (6.3 km). Take the highway exit to Genoa Nervi when coming from Genoa and follow the SS1 along the sea to Sori.